...your heart is racing, you can't remember what to do or say - emotions are running extremely high. Considering and planning your course of action during those seconds will decrease risk and improve your ability to succeed if and when the time comes. 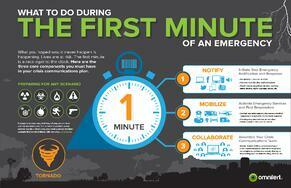 The Most Important Minute is that time that falls between the "Before" and "During" stages of an emergency.